The behavior of a computer system consists of a sequence of operations. A major difference between conventional computer systems and artificially intelligent systems is that while the former follow predetermined programs provided by human programmers, the latter systems must be capable of some “self-programming”, in the sense that their behavior cannot always be explicitly specified by a human and must, to varying degrees, be decided by the system itself. Many existing AI techniques, such as state-space searching, action planning, production systems, genetic programming, inductive logic programming, reinforcement learning, reactive or adaptive agents and robots, can thus be considered, to a greater or lesser extent, capable of self-programming. (Download a copy (PDF) of this CFP). 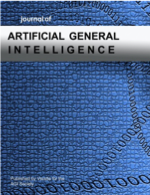 The term “artificial general intelligence” (AGI) refers to general-purpose systems with integrated and holistic intellectual and cognitive abilities. For a system to be considered AGI, some form of self-programming is a necessary component, since such systems have to be capable of learning whole new skill-sets from experience, not simply improving performance on a single or a small set of pre-programmed tasks. However, few systems in existence today can be said to be far along the path towards AGI. One promising way to address the challenge of creating AGI is replacing top-down architectural design as the main development methodology with constructivist methods focusing on self-generated code and self-organizing architecture. The special issue will be published at JAGI in December 2012. Detailed author information for JAGI can be found on Mindmakers’ JAGI site. Previous PostIIIM’s Newsletter: First edition available now!Next PostVisit us on IIIM & CADIA Open Day!